Easily recognizable names such as Aadilah Ali, Michael Bhopaul, Rawletta Barrow and Fatima Karim, who had previously secured outstanding performances at the Caribbean Secondary Education Certificate [CSEC] Examination, have again recorded outstanding performances at the level of the Caribbean Advanced Proficiency Examination [CAPE]. Yesterday the 2018 CAPE results were announced alongside those of the 2018 CSEC by the Ministry of Education, and all of the top performers, save one, are students of Queen’s College [QC]. 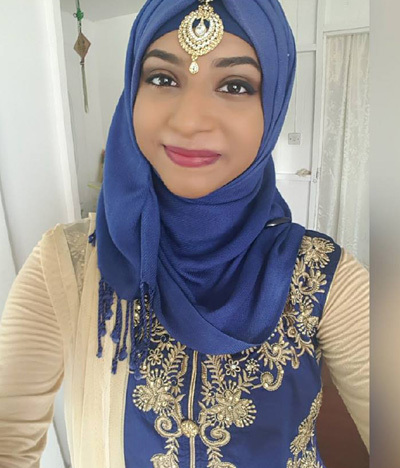 Topping the list is QC’s Ali who gained grade one passes in Communication Studies Unit 1, Integrated Mathematics Unit 1, Applied Mathematics Unit 1, Biology Unit 1, Chemistry Unit 2, Environmental Science Unit 2, Pure Mathematics Unit 2 and Physics Unit 2. 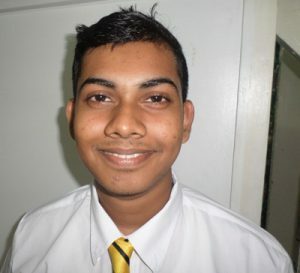 Another QC student, Bhopaul, who was last year’s top CSEC performer also secured grade one passes in Unit 1 of Applied Mathematics, Biology, Caribbean Studies, Chemistry, French, Pure Mathematics, Physics and Spanish. In the top performing circle too are QC’s Sariah Singh, Rajiv Muneshwar, Rawletta Barrow, Jeevan Dalip, Min Wen Gong, Fatima Karim and Jamie Yearwood. Also being named as a top performer is Farah Chin of Marian Academy. According to Minister of Education, Nicolette Henry, who announced the results, a total 923 candidates from nine secondary schools and five private centres participated in CAPE this year. One hundred twenty-six private candidates offered 469 subject entries at the 2018 sitting. As she presented an analysis of the performance this year, the Minister recalled that in 2017 when 851 candidates participated, the Ministry recorded an overall pass rate of 92.57 percent while the pass rate this year is 93.68 percent. The Minister revealed yesterday that five of the nine school centres recorded increases in their overall pass rates namely: Berbice High, St. Joseph High, St. Rose’s High, St. Stanislaus College and President’s College. Berbice High, she noted, moved from 89.95 percent in 2017 to 95.94 percent in 2018. Although St. Joseph High, St. Stanislaus College and St. Rose’s High had fewer candidates and subject entries than 2017, these centres all recorded an increase pass rate for 2018. St. Joseph High’s pass rate moved from 79.48 percent in 2017 to 87.75 percent in 2018. Meanwhile, St. Rose’s High recorded a pass rate of 96.65 percent in 2018 as against 91.35 percent in 2017 while St. Stanislaus College recorded a pass rate of 92.58 percent in 2017 and 96.03 percent this year. President’s College also recorded an improved performance with a pass rate of 91.98 percent in 2018 as against 90.6 percent in 2017. Queen’s College’s performance, the Ministry has revealed, was constant with a pass rate of 96.45 percent in 2017 and 96.31 percent this year. Based on the Ministry’s analysis too, there was a decline in the pass rate at The Bishops’ High, Mackenzie High and New Amsterdam Secondary. The Bishops’ High moved from 99.02 percent in 2017 to 97.82 percent in 2018. Mackenzie High recorded a pass rate of 78.5 percent in 2018 as against 90.55 percent in 2017 and New Amsterdam Secondary recorded a pass rate of 82.41 percent in 2018 and 88.73 percent in 2017. But according to Minister Henry, the overall performance was satisfactory. The five private institutions which offered CAPE this year too included Sarawati Vidya Niketan, which recorded a 93.34 percent pass rate; Marian Academy which recorded an 89.26 percent pass rate; Adult Education Association which recorded a 63.84 percent pass rate; Chase Academy which recorded an 83.69 percent pass rate and Guyana Private which recorded a 96.68 percent pass rate.